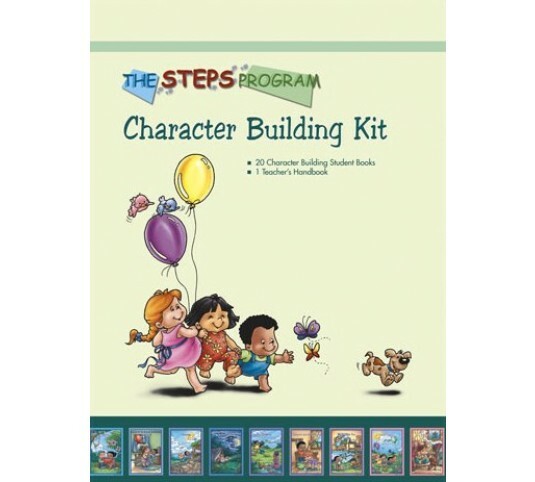 The STEPS Character Building series focuses on developing a personal or interpersonal skill, social value, or quality of character necessary for a child's positive self-esteem. 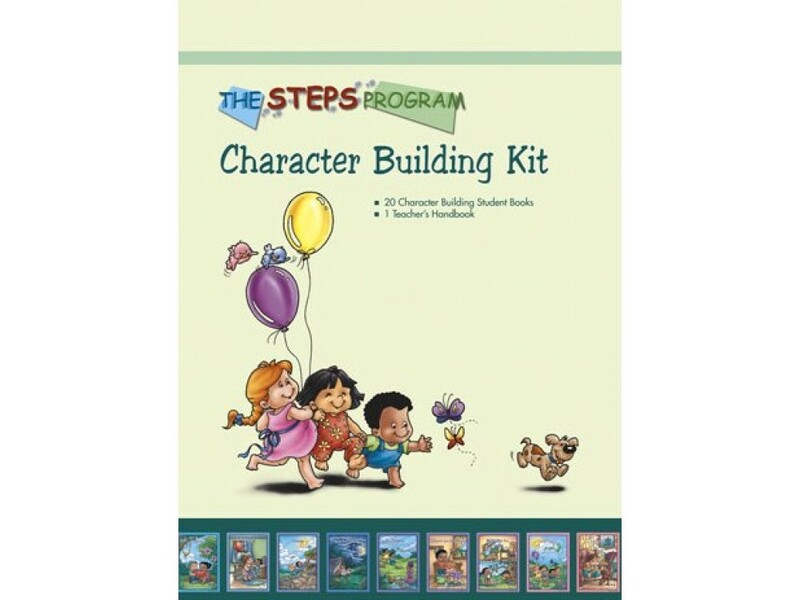 The STEPS Character Building series focuses on developing a personal or interpersonal skill, social value, or quality of character necessary for a child's positive self-esteem. 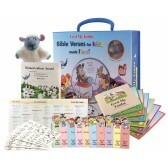 This set includes a teacher’s guide, one set of student books (20 books in a set), a sing-along audio CD, and an award certificate. 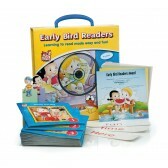 Additional sets of student books may be purchased separately if desired. 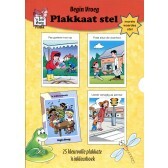 Each student book is a complete lesson covering topics such as honesty, good manners, friendship, obedience, etc., and makes use of songs, stories, colouring pages, crafts, activities, and Bible scriptures.